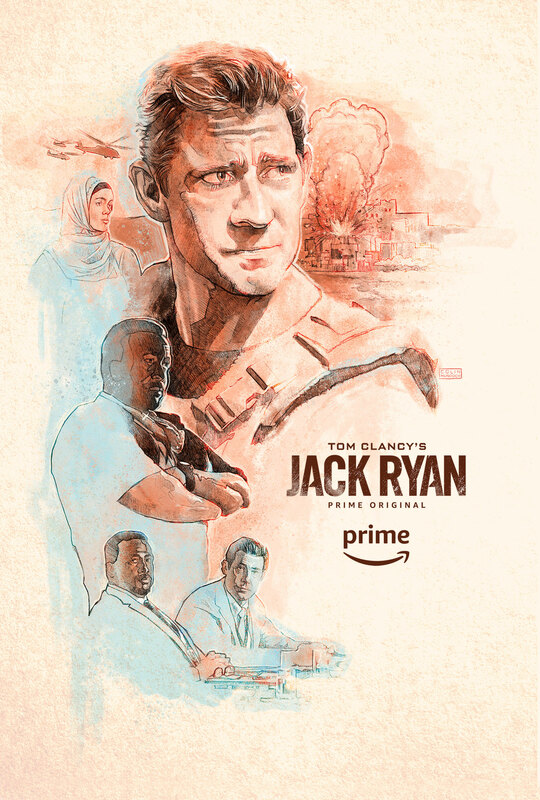 This is my illustration for the Talenthouse alternative poster contest for the Jack Ryan show. I wanted to show Jack in the office and then out in the field, with the colour of the poster fading between the two. I also wanted to create an illustration that was loose and with quite a bit of texture as I thought that was appropriate for the feel of the show.